I have loved Seed Heritage ever since I was working on air at Mix 94.5 in Perth. I would get so sad about my Mum’s illness and my friends I missed in Dubai that I would go shopping on my lunch break to the Subiaco store. The brand wasn’t just about clothes for me, it was a little bit of escapism. 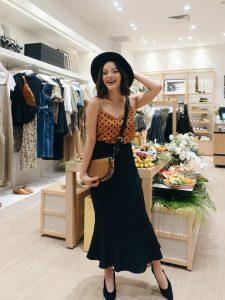 You can imagine my delight when Hustle and Bustle PR asked me to host shoppers as a brand ambassador for the launch of Seed’s first stand alone women’s story in Singapore at the new Jewel Changi. 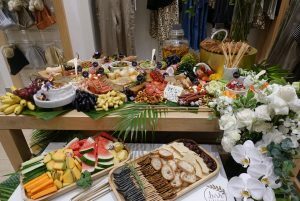 Being paid to try on clothes and eat, a dream job! You can take a look at the grazing table here!